The little girl was persistent and she begged her parents for days to let her be alone with her new baby brother. Mom and dad became curious and they finally gave in. Nonetheless, they wanted to ensure the safety of their smallest child. The baby’s room was fitted with an intercom and so they thought they could listen in on whatever occurs and if there is any sort of disturbance, if the baby cries or his sister happens to hit him, they could rush in and rescue him. In my book, Finding God –Spiritual strategies to help YOU find inner peace, fulfillment and happiness (WOW Media) I explain how mankind suffers from chronic anxiety and how he has done so since the beginning of time on this earth. It is apparent that man cannot seem to relieve this anxiety by anything that he does outside of himself -not by anything he gains, buys nor amasses. No amount of money, material possessions or power that he wields can satisfy or lessen the anxiety, the sense of hopelessness that he feels so deep down inside of him. So what causes humankind’s chronic anxiety and how can it be relieved? I believe that our feeling of separation causes our anxiety: separation from ourselves, our fellow human beings and, most of all, separation from our connection to God. It is our separation from the Divine and the forgetting of who we truly are that pains us. Our sense of separation leaves us feeling alone, sometimes frightened and overwhelmed by life and its many challenges. And so, we often lose ourselves in the day-to-day survival. 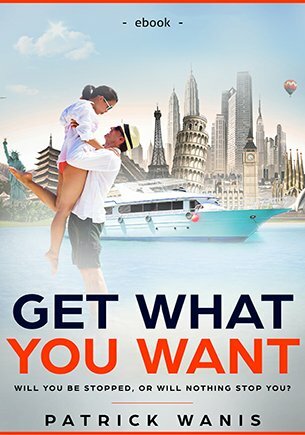 We become caught up in working, paying bills, buying more and more possessions, planning vacations, and thinking too much about tomorrow or, yesterday. All in all, we find ourselves running around almost aimlessly, never truly enjoying the moment or what we have, and never feeling satisfied or whole. We feel the inner emptiness and we cannot seem to find anything to fill it or satisfy it. I believe this is because we forget our primary mission: to love and serve others, and to allow others to love us. And in so doing, we feel all alone, lost and helpless. If along the way though, we are open, something happens and we experience an encounter that reminds us that we are not alone, and that we are not separated from the Divine unless we choose to be. Our true power comes when we can let go and stop trying to control every aspect of our lives and everyone around us. Only in the moment when we can admit to ourselves that we need help are we able to be helped. And in that moment, we awaken to learn that someone is watching over us, and if we ask and if we give thanks or if we just trust and let go, we will be helped. We will be rescued in times of need, lifted in times of pain and sorrow, comforted and given hope in times of doubt and loss. We will get a small glimpse of the Divine and it will restore and strengthen our faith, love and hope. These are blessings of encounters with angels. Following my first book on angels, Angels Are Everywhere (WOW Media) readers contacted me thirsting to hear more about angels. In response, I wrote Angel Encounters. Subsequent to that second book, many more people wrote to me relating their own experiences with an angel, how the stories within my book lifted or inspired them and requesting ways to contact angels. And so, in this small comprehensive book, you will learn so much about angels, who they are, what they look like, from where they came, the origin of the halo and wings, how to call upon angels for help, how to connect with your angels, and how to recognize the blessings of angels. You will hear first hand accounts by everyday people of all ages and backgrounds who had angel encounters and whose lives were saved or changed forever. You will hear from people who had spiritual awakenings, self-discoveries, healing miracles and how many were awakened to realize that there is something higher and greater than us, and that what we do and the way we choose to love each other is not for nothing. No matter what your beliefs might be, I hope you will be deeply touched and uplifted by these angel encounters. In Angel Encounters (WOW Media), I explain that the word angel comes from the Greek word, Angelos which means messenger. The Persian equivalent is angaras which, means courier, and in Hebrew the term is malakh which also means messenger. Although angels are prominent in Judaism, Chris­tianity and Islam, later I explain how the concept of angels are derived from concepts of spirits that help, protect and mediate between the Heavens and the earth and that these concepts and the belief in guardian angels exist in mythologies around the world, dating back as far as ten thousand years BC. Angels do not know all things as God does but they do have greater knowledge than humans. Angels were created as a higher and separate order of creatures to humans. They have greater power than humans, and have gained knowledge through long observation of human activities. In this book though you will read firsthand accounts by people who had a mysterious stranger appear, rescue them and then disappear just as quickly without any trace. Zoroaster or Zarathustra lived in Persia (present-day Iran, Turkmenistan and Uzbekistan) around 650 BC. He claimed that he received angelic communications, and subsequently spread a monotheistic religious message that became the religion of the Persian Empire. Eventually this religion influenced both Muslim and Judaic thought, and then Christianity via Judaism. The early Semitic peoples of the Middle East believed in legions of spirits, the spirits of wind and of fire. These spirits may have been the origin for the cherubim and seraphim, which are associated with wind and fire. The angel’s halo is a radiant circle of light that surrounds the angel’s head. Although popularized in Christian art, the halo comes from the culture of ancient Greece…. In 787 the second Council of Nicaea (around three hundred bishops and their representatives) gathered to discuss among other things the Veneration of Images. Prior to this date, it was considered to be heresy to depict angels in art. Accordingly the Council authorized the reproduction of images of Jesus, angels and saints in the form of paintings, mosaics and other materials for display in the church, walls and panels, houses and public ways. The earliest biblical references to angels are in the first books of the Old Testament i.e. the books of the Judaic Torah…. The celestial hierarchy was largely determined between the works of Dionysus the Areopagite and St Thomas Aquinas. It was Dionysus who explained in detail each of the angelic orders. Angels have been communicating to man for thousands of years via dreams, voices, visions and apparitions. And today many people ask if we can talk directly with angels. Can we call on angels to do something specific for us? Dr. John Dee was a 16th century gifted magician, mathematician, scientist, and secret agent in England. Dr Dee became court astrologer and spy to Queen Elizabeth the First. Dr Dee astrologically determined The Queen’s coronation date. a means of contacting angels through the use of a system of ‘calls’ and a language Kelley claimed was dictated to him by the angels. Some people believe that it is wrong to contact or ask angels for help, expressing concern about giving angels (or even Saints) more credence, power or importance than God. The answer thus depends on your own beliefs. It is helpful to remember that angels are the messengers of God and they will follow God’s will, not yours. If angels contact us, then it seems natural that we, too, can contact them. Simply the act of asking God for help can result almost immediately in help from an angel. Some have learned to communicate with angels via meditation …. In Judaism, when you welcome the Sabbath, you’re welcoming the Shekinah, the feminine principle of God. The song “Shalom Aleichem/Welcome to Peace” is a song for welcoming Shabbat…. Accordingly, the song is a way to contact and seek the blessing of the two ministering angels. A sixteen-year-old girl, Louise, came to me via her mother for help. Louise had no father. He died when she was twelve years old. Louise was experiencing various intense emotions ranging from anger to depression. At times she would lash out at her mother and the world, abusing, cussing and crying. Other times she would get into deep depression, feeling hopeless and helpless, she would not want to talk to anyone, and had thoughts of suicide. As a result of our initial talk, it appeared to me that Louise still had major issues with her father. He had abused Louise on many levels -primarily mentally and emotionally. Thus, she never felt worthy or good enough and had very low self-esteem. “Good then say God, I am willing to forgive my father. Good. Now ask God to allow the angels to help you to forgive your father. Ultimately, what truly matters is that Louise was able to set herself and her father free – she was able to express love, the expression of angels. It can also be argued that what Louise experienced is like a dream and we know that angels often appear in dreams and in dreamlike visions. In fact, Lucid Dreaming is another possible way of getting in touch with angels. Malcolm Godwin is an English author, artist and designer. He has published two books on angels and a book on lucid dreaming: Lucid Dreamer: A Waking Guide for the Traveler Between Worlds. His book explores the lucid dream as experienced by mystics throughout history, and describes powerful techniques for creating this heightened reality and using it for self-discovery, healing and seeing angels. Paneurhythmy consists of an hour-long sequence of exercises danced to music with a poetical text…. DOES YOUR ANGEL HAVE A NAME? Doreen Virtue, Ph.D. is a doctor of psychology. She has authored Messages From Your Angels, Healing With The Angels, Angel Therapy, and Angel Visions I and II. Doreen conducts workshops across the country to help people hear the voices of their angels. Doreen believes we each have a guardian angel on our left shoulder and another one on our right shoulder. What do you think of when you think of an encounter with an angel? According to other literature, angels disguised their heavenly light and passed for mere mor­tals -humans, and this is how most of today’s encounters with angels are described. 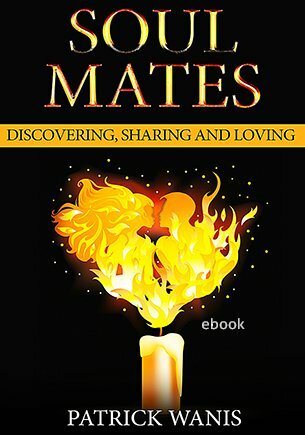 The testimonials in this book reveal that angels show up for each of us in the unique way that we need, and not necessarily the way we might expect or desire. In Angel Encounters (WOW Media), I explain that one of the most common occurrences of angel visions and encounters is during Near-Death Experiences. A near-death experience is defined as…. Is there a medical explanation for Near-Death Experiences? Dr. Nuland also says that the medical explanation doesn’t rule out the existence of God or angels. Dr Jansen added that he, too, did not deny the existence of angels and supports the claim that these drugs are “just another door to a space” and do not actually produce that space. Medical science has been thus far unable to explain why children report more near death experiences than adults and why people near death can actually see things that they couldn’t possibly have known about. What changed us? How did we lose our innocence and hope? People who have been diagnosed with terminal illnesses, with only a few short months to live but who by faith and some mystical encounter conquered the illness will speak of a miracle: the possibility of a higher hand intervening to reverse nature’s ordinary movements! When unrelated things seem to happen together at the same time with a purpose, it is known as synchronicity. I have often wondered why we humans choose to be so arrogant as to think that God will only send angels to us in the form that the majority of people might expect such as a female creature with wings. Too often, we assume the position that we know better than God what we need or worse, what others need. Only by remaining open to all possibilities, can we experience the message of angels, in whatever form is necessary for us individually. Q: Why do angels come to the aid of people in mundane circumstances, such as a stalled car in a snowstorm, when there are many people in much graver need of help? Why do angels aid some people and not others? Q: Why do angels have wings or are portrayed with wings? Q: Are angels male or female? Q: Do angels act independently of God? Q: How and when were angels created? And how many angels are there? Q: If angels are all-powerful, and if we all have angels and guardian angels, why can’t they or why don’t they always help us? Q: Do angels bring people into our lives? Q: Are there bad or evil angels? Q: How can I tell the difference between an angel and my imagination? Almost every one who has had an encounter with an angel feels him or herself to be blessed. Some say their life was changed -there was a transformation – or they were given the spark of hope and inspiration. Others say their faith was deepened and they now see life with enthusiastic eyes of gratitude and appreciation. Almost each one of these people speaks of the healing of the mind, body and spirit. Yes, angels represent tenderness, love and compassion. And sometimes, in what may appear to be a harsh, cold or greedy world where we can easily be enticed and seduced by it or to be a part of it, an experience with an angel reminds us of our true essence, that lofty place within us where we find unconditional love, acceptance, hope and peace, where we realize that expressing joy, love and compassion to our fellow human being is the very expression of an angel. Remember: if you keep your heart open and surrender, knowing that you cannot do it on your own, then you will recognize the many blessings of angel encounters that unfold around us almost everyday but that we so often fail to see and feel. And for those that fear that they have not and may never experience a magical or mystical encounter with an angel with wings, fire, brilliant glowing lights or celestial music and singing, take comfort in the knowing that God will send his angels to you in exactly the time and way that you need and can accept, even if that means sending you a friend in time of need. I know that exactly when I was suffering and needed someone the most, God sent me a wonderful new friend who had the time and the heart to listen to my ramblings and confusion, to ease my pain. And because I can be hardheaded, overly analytical and blind to who is truly at work in my life, God sent me this friend to open my eyes and heart. And so, I humbly encourage you to look around and notice that maybe, right now, there are many angels already in your midst. May you, and the people you love, be showered by their blessings!